"It's about craftsmanship and creating a masterpiece you will love." Linnane Homes is a full service home building company. Our exquisite homes range from $600,000 to $1m+ and are located in some of Charlotte's most popular communities. 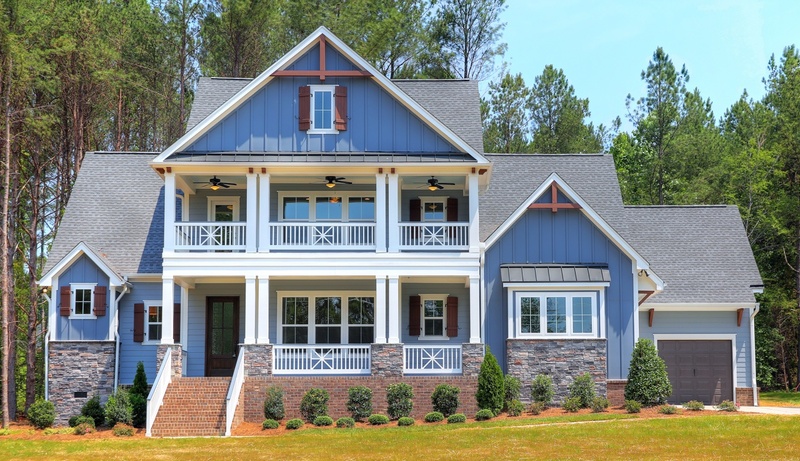 You can find our inventory homes in Waxhaw, Weddington, South Charlotte, Fort Mill, and Davidson, or let us build a masterpiece for you on your lot! We have a variety of home plans, or we can design a plan specifically for your family. You can be assured we will build with consideration and quality, focus on your needs, and continue to let true craftsmanship guide us in every endeavor. We will take into account the location of your lot and the community’s requirements to customize the quote, eliminate hidden expenses, and provide you with a Fixed Price Quote. Our quote will include all permitting, tap fees, plan expenses, engineering, architectural review fees, and all surveying expenses. No wondering what an allowance will buy you or what is included in a “package”. We will provide you with a 7-8 page detailed list of what is included in the home. Linnane Homes is proud to offer new homes that have earned the ENERGY STAR® label. The ENERGY STAR label means that your new home has been designed and built to standards well above other homes in the market today. It means better quality, better comfort, and better durability. It also means that your new home is a better value for today, and a better investment for tomorrow. The ENERGY STAR label gives you the peace of mind that your home has undergone a better process for inspections, testing, and verification to ensure that it meets strict requirements set by the U.S. Environmental Protection Agency.